In 1998 Panama restructured its electricity sector. A year later, the state-owned electricity entity (IRHE), which controlled the generation, transmission and distribution of electricity in Panama, was privatised. As part of the restructuring process, the state invited private investment participation in the areas of generation and distribution, but retained full control of the transmission infrastructure and services. The state also created a regulatory entity to supervise the operation of the sector. Policymaking authorities for the electricity sector were assigned to the National Secretariat of Energy, a quasi-executive cabinet office created in 2006. Executive-Decree No. 279 of 14 November 2006, and Law No. 43 of 25 April 2011 as amended, that created and reorganised the National Secretariat of Energy, an office under the executive branch responsible for designing and implementing the government’s policies and strategies for the electricity and oil and gas sectors. The energy generation market is divided in terms of installed capacity as follows: 52 per cent corresponding to hydro generation plants, 37 per cent corresponding to thermo generation plants, and the remaining percentage corresponding to wind and solar generation plants. based on other special characteristics. Panama has organised its electricity sector into three main areas: generation, distribution and transmission. Generators must enter the market through a concession, a licence or a registration process before being granted by ASEP. The state retains a non-controlling participation in two hydro generators, and three thermal generators, and full control of one hydro, one thermal, and one solar generator. Self-generators and co-generators that enter the market through a registration process before ASEP, produce energy for their own consumption, and sell their surplus in the electricity market. Moreover, self-generators can also enter PPAs and participate in auctions. Discos must operate under a concession granted by ASEP. Discos operate by selling power to regulated consumers and LUCs. In Panama, there are three discos that must keep open access to their grids for all generators and LUCs, subject only to payment of tolls and connection charges. Discos participate in the National Interconnected System (NIS). The NIS requires discos to enter into PPAs to supply 100 per cent of their estimated maximum regulated demand. After the privatisation process of 1998, the state has retained a non-controlling participation in the three discos operating in Panama. ETESA owns all transmission assets as well as the concession for transmission of electricity throughout Panama. ETESA is also responsible for the NIS. In 2005, ASEP granted another transmission concession to Empresa Propietaria de la Red (EPR). EPR is a company incorporated under the laws of Panama to interconnect the Central American electricity market pursuant to the tenets of the Central American Electrical Interconnection System (SIEPAC) treaty. Interconexión Eléctrica Colombia-Panama (IECA), a company incorporated under the laws of Panama to interconnect the Panamanian and Colombian electricity markets, has also requested a transmission concession to ASEP, which is pending approval of ASEP since 2017. ETESA has 12.5 per cent ownership in EPR and 50 per cent ownership in IECA. Only discos licensed by ASEP may advertise the provision of electricity to consumers. Any other intermediary is forbidden from buying and reselling electricity to consumers. The exceptions are generators that market and sell electricity to LUCs. According to Law No. 6, generation facilities may operate under a concession, a licence or a registration before ASEP. ASEP awards concessions after completing an auction process. When ASEP identifies a possible hydro or geothermal project or a third-party requests a concession, ASEP must start an auction process to allow all interested parties to participate. After completing the auction process, ASEP awards the concession to the candidate with the highest bid and for a period that may not exceed 50 years. After expiry, the concession may be renewed once for another 50-year term. A generator requires a licence to construct and exploit any generation plant other than those subject to a concession regime. Applicants must file a licence application with ASEP. If the licence application is approved, ASEP will issue the licence for a maximum term of 40 years. After expiry, the licence may be renewed for another 40-year term. Entities that, as part of their industrial or commercial operations, own generation plants that generate electricity for their own consumption, may register such generation capacity before ASEP. Once ASEP approves the registration of these companies, these companies may sell their surplus energy into the electricity market. Self-generators may also enter into PPAs and participate in auctions. These registers are usually granted for 5 year renewable terms. Companies competing for a concession or applying for a licence or registry must also have an environmental impact study of the project duly approved by the Ministry of Environment (MoE), a Water Concession issued by the MoE, for hydro projects, an interconnection approval from ETESA and must also have successfully completed a test run of the plant directed by the National Dispatch Centre (CND). The CND is a division within ETESA that plans, supervises and controls the integrated operation of the NIS and ensures the NIS’s safe, integrated and reliable operation. Law No. 6 promotes a policy of free access to the NIS. Access to the NIS requires each generator to subscribe to a transmission contract with ETESA. The transmission contract will govern the relationship between the generator and ETESA and affords the generator the right to connect to the transmission grid and facilities owned and operated by ETESA for a fee. Connection to the NIS requires the generator to accept and comply with NIS Operating Rules and the Technical Service Quality Rules, including all system fees charged by ETESA, which are set and vary according to the area. Approximately 72 per cent of the electricity consumed in Panama is generated by hydroelectric plants. Some of these plants were built before 1997, when the electricity sector was still owned and operated exclusively by the government, and in the absence of any special incentives. Rather, their construction was predicated on a government policy directed at using water resources that are abundant almost year round and that are not subject to cost surges or variations. After 1998, when the government designed and implemented a privatisation programme for the electricity sector, private capital played a leading role in the development and construction of new thermoelectric plants. Though the electricity sector underwent significant legislative changes in 1997 and 1998, very few provisions dealt with or encouraged the development and use of renewable generation sources. Among those few was a provision of Law No. 6 that concedes a 5 per cent price differential over the price offered in auctions by generators that use a renewable and alternative energy source. up to 25 per cent of income tax for new project developments or for increasing the generation capacity of an extant plant. The amount of income tax that may be credited will be measured by the amount of carbon dioxide emissions that are reduced annually. The income tax benefit is effective for the first 10 years, counted from the time the project commences commercial operations. 15 years of exemption from all national taxes to companies manufacturing equipment in Panama for wind generation plants. Owing to these incentives and government policies allowing for specific auctions for wind power PPAs, wind projects now account for 2.8 per cent of energy generation. Law No. 42 of 20 April 2011 (Law No. 42) that establishes the national bio fuels policy, regulates the biomass-based energy generation, and grants fiscal credits to companies that purchase bio ethanol and bio diesel made with local products. based on special characteristics that respond to the government’s energy policy. application of the accelerated depreciation method to the equipment of power plants using natural gas. application of an accelerated depreciation method to the equipment of power plants using solar energy. Finally, through Resolution AN-10206 of 2016, ASEP issued rules allowing distributed generation for clients to set up self-generation facilities for their own consumption, which can be connected to the distribution grid, following simple procedures, and an agreement with the distribution company. These regulations facilitate the establishment, among others, of substantial solar capacity to allow clients to significantly reduce the amount of power required from the grid. As outlined in the preceding question, Law No. 6, Law No. 45, Law No. 44, Law No. 42, Law No. 41 and Law No. 37 make up the entire body of legislative efforts aimed at promoting electricity generation from renewable and alternative sources. Despite these initiatives, energy consumption levels have not experienced a significant variation, with a new single-day consumption record set at 1,661MW of capacity in April 2018. Current generation capacity in Panama stands at 3,251.52MW. No. The Panamanian government has not issued rules supporting electricity storage, or research and development of storage solutions. No. Panama has not implemented provisions or measures to encourage or discourage development of nuclear power plants. There are no nuclear power plants in operation in Panama at present. In Panama, ETESA, a government-owned and run entity, has full ownership and management of the NIS. Only ETESA can operate the national transmission network. As mentioned in question 2, and as part of SIEPAC, ASEP granted a transmission concession to EPR to develop, operate and maintain a transmission line that will interconnect Central America. ETESA owns 12.5 per cent of the shares in EPR. 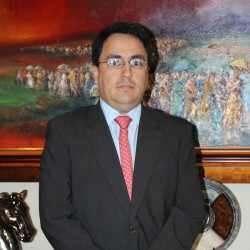 Similarly, on 1 August 2008, the Panamanian government signed a Memorandum of Understanding with Colombia to develop the technical and regulatory framework that will govern electrical interconnection between both countries. ETESA and the transmission company of Colombia, Interconexión Electrica SA (ISA), formed IECA to develop the Panama-Colombia interconnection project. In 2012, Panama and Colombia agreed on, and approved, the operation rules and dispatch rules that will regulate the exchanges of energy between both countries. Panama and Colombia scheduled the auction to assign the economic rights of the transmission line for June 2012; however, the said auction was cancelled and a new date has not been set yet. In July 2014, the government announced that Panama was going to continue with the interconnection project with Colombia; and that the interconnection project will transport up to 400MW, reducing the capacity of the line from 600MW as originally envisaged. 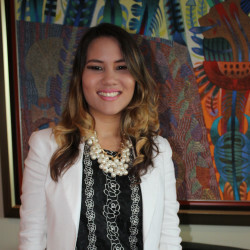 In September 2015, Panama and Colombia commenced environmental consultations and reviews in connection with the interconnection project; and set June 2016 as the deadline to solve all environmental matters. IECA put in a request to ASEP, and ASEP authorised the extension of the term to solve the environmental matters until September 2018. However, and as of 9 August 2018, Panama and Colombia have not reached an agreement regarding the environmental matters, and IECA has not requested ASEP for a new extension to solve said matters. Law No. 6 provides for open access to the transmission grid subject only to the payment of a connection fee and a use fee to ETESA. To connect to the transmission grid, the applicant must file a request with ETESA. Generators and discos must comply with Transmission Regulations and pay a tariff that covers interconnection and transmission charges. ASEP formulates the criteria to set and adjust the transmission tariffs. As mentioned in question 9, the transmission grid is currently controlled by ETESA, a company wholly owned by the government; hence, the expansion of the transmission grid rests primarily on government development plans and sponsorship. The Transmission Regulations adopted by ASEP in 2009 as amended, requires ETESA to elaborate a plan for the expansion of the NIS. The expansion plan needs the approval of the National Secretariat of Energy. In December 2017, ASEP approved the latest plan filed by ETESA. ASEP is the authority that fixes the terms and rates for the provision of transmission services. Resolution No. JD-5216 of 14 April 2005 as amended, adopted the extant transmission regulations. Transmission regulations that, among other principles, set the current transmission rates will remain in force until 2021. Rates associated with the access and use of transmission lines must cover the investment, operation and maintenance costs of the NIS and allow for reasonable profit. ASEP has defined as reasonable profit a profit that does not differ by more than two points from the annual interest rate of a US Treasury 30-year bond, plus a seven-point business-risk premium. Rates must also attend the foreseeable growth in transmission traffic, and ensure the reliable, continuous and outstanding development of the NIS. The government has rejected a proposal to change the concept of reasonable profit and reduce it to a profit that does not differ by more than two points from the annual interest rate of a US Treasury 30-year bond, plus a five-point business-risk premium. ETESA is the entity that controls the transmission grid. The CND, as explained in question 3, is a unit of ETESA, responsible for planning, supervising and managing the NIS and for ensuring its safe, integrated and reliable operation. Generators must comply with the transmission schedules set by the CND. Generators may deviate from transmission schedules only in cases of unforeseeable maintenance or repair work to transmission lines or interconnection units or when there is an event of clear and conclusive force majeure. The CND may request authorisation to ASEP for the compulsory disconnection of any generator or disco that does not comply with CND guidelines. The Planning Unit, an administrative department within ETESA, is responsible for researching, studying and forecasting the power requirements of the entire country. The Planning Unit is also responsible for recommending options and alternatives to satisfy such power requirements, including the development of alternative sources of energy and for designing and implementing programmes to conserve and optimise the use of energy. To construct and operate a distribution network, a company must apply for a distribution concession. ASEP grants concessions to distribute electricity and the Comptroller General must approve said concessions. ASEP can grant distribution concessions for a maximum of 15 years. Further, as outlined in question 3, companies applying for any concession, including a distribution concession, must have an environmental impact study duly approved by the MoE. According to Resolution AN No. 6457-Elec the current distribution concessions will expire in October 2028. Law No. 6 requires discos to provide open access to the distribution grid. Access to the grid is governed by the applicable laws, regulations and resolutions of ASEP and by an agreement subscribed to by the discos. Yes. Every four years, ASEP approves a tariff regime prepared by discos that includes, the investment that discos estimate will make to maintain and expand the distribution grid, provide public lighting services, and meet energy supply needs that clients may have, including rural electrification in certain areas of the country. This provides, with efficient costs, the basis to determine the tariffs that discos charge to regulated customers. ASEP also includes in the tariff regime certain expansion projects that must be executed by discos and included as part of its tariffs. If discos do not execute said projects, ASEP may fine them, and reduce the distribution tariffs that discos charge to their clients in the following tariff period. And finally, Law No. 6 and concession contracts require discos to provide service and extend the grid to serve clients that are within 100 meters of existing distribution infrastructure. Resolution No. JD-5863 of 2006, as amended, sets the terms for the distribution and sale of electricity. Said resolution also provides the formula used to determine distribution rates. The government issued new procedures to determine rates applicable for the distribution and commercialisation of electricity for the period 2014-2018. Discos must submit to ASEP a list of rates that are applicable to regulated consumers and the rates charged for the use of distribution networks. ASEP must approve those rates. When approving the proposed rates, ASEP considers the real costs of the service and the area of distribution. Discos must obtain long-term contracts to cover 100 per cent of the capacity and power requirements of their regulated consumer base. As outlined in question 3, generators require either a concession, a licence or a registration before or issued by ASEP, to build and operate a generation facility. the spot market, on an hourly basis. The spot market allows generators to sell to discos, LUCs, other generators and foreign markets. Rules issued in 2012 allow generators to sell into the spot market only if the generators have complied with their obligations to participate in all auctions called by ASEP to purchase and sell power or energy, with their available capacity. The price of energy in the spot market will be calculated based on the last generator called to dispatch energy, without considering the fuel source or any security restrictions. Self-generators and co-generators can participate in the wholesale market in Panama by selling the energy that they do not consume in the spot market. Moreover, self-generators can also negotiate PPAs with other generators and LUCs. As discussed in question 2, discos require a concession issued by ASEP to operate and to sell power to consumers. Additionally, discos must subscribe long-term PPAs to cover 100 per cent of the capacity and energy requirements of regulated consumers. In Panama, ASEP has the authority to enact and amend the rules that govern power sales from generators to the wholesale market. The CND is responsible for implementing these rules. Said rules set the market criteria for the exchange and sale of power, including the criteria for setting tariffs. These rules and tariff criteria are reviewed every four years. Tariffs charged by discos to final consumers are classified according to consumption and voltage. Discos must set tariffs based on a formula fixed by ASEP that allows for a reasonable return on investment after distribution costs are covered. Accepted distribution costs are management, operation and maintenance expenses, as well as standard losses and the depreciation that an efficient disco would incur within the respective concession area. Tariffs to final consumers at present include a fuel differential subsidy that is paid by the government to discos to compensate for higher fuel prices. Other requirements regarding power sales are outlined in question 16. LCB - ETESA calculates power rates in the LCB from the average of all the power offered by generators and each generator’s price. The total average will be the power rate in the LCB. After ETESA calculates the price for the LCB, the LUC can decide if they will purchase electricity from the LCB or if they prefer to purchase directly from discos or generators. Electricity is considered a public service obligation in Panama. Extant legislation provides that power generation, transmission, distribution and commercialisation of electricity must satisfy basic collective needs on a permanent basis. However, Panama’s electricity regulatory system also considers financial viability and free competition as basic elements of the electricity market. The National Secretariat of Energy is the authority that sets and oversees policy within the electricity sector. Similarly, ASEP develops rules and principles applicable to the electricity sector. the MoE, the environmental authority that approves environmental impact studies for generators and discos, grants water concessions for certain electricity projects, and ensures compliance with environmental rules in the electricity market. the MoE - Law No. 41 of 1998 created the National Environmental Authority as an independent government entity; it was amended by Law No. 8 of 2015, which reorganised ANAM into the MoE. The MoE is not under the supervision of ASEP or the Secretary of Energy. It is a ministry that is part of the executive branch, with its minister being appointed by the President. resolutions issued by the administrator of ASEP may be challenged by filing a reconsideration request with the administrator. All the foregoing reconsiderations or appeals may be challenged further by filing an extraordinary action with the Third Chamber of the Supreme Court. The Antitrust and Consumer Protection Authority (ACODECO) has the authority to approve or block mergers, changes in control, or acquisition of assets involving the electricity sector. It may also block a merger while in progress or after it has been completed if considered against Law No. 45 of 31 October 2007 governing antitrust and consumer protection (Law No. 45). In Panama, parties intending to engage in a merger or acquisition are not required to obtain an authorisation from ACODECO prior to or after said acquisition. However, the parties may voluntarily submit the terms of the merger or acquisition to ACODECO for prior verification, so that ACODECO can: confirm if the transaction would cause a negative effect in the corresponding market and therefore result in a prohibited economic concentration; and recommend adjustments to the transaction to avoid becoming a prohibited economic concentration. ACODECO has 60 working days to issue its opinion. If the 60-day period has lapsed without ACODECO’s decision, the proposed merger or acquisition may be completed. If ACODECO decides that the acquisition is not a prohibited economic concentration, the acquisition cannot be challenged or objected to after the closing, unless the opinion of ACODECO its issued based on false information filed by the parties to the transaction. Similarly, if the parties to the transaction decide not to complete a prior verification with ACODECO, ACODECO has the authority to initiate an investigation regarding the legality of the transaction within three years after the closing of the transaction. Third parties may also request ACODECO to review a transaction within said three-year period. ACODECO is the institution with authority to prevent and prosecute anticompetitive practices. Antitrust cases are tried before commercial courts. However, Law No. 6 entitles ASEP to prevent potential anticompetitive practices within the electricity sector. Accordingly, ASEP has discretion to issue directives and regulations to maintain fair competition within the electricity sector. Nonetheless, ASEP must seek the opinion of ACODECO before adopting or issuing any antitrust or discriminatory directives or regulations. ASEP may also commence antitrust investigations by notifying ACODECO of any violations, and may assist ACODECO when investigating and verifying anticompetitive practices within the electricity sector. Law No. 45 forbids any act, contract or practice that may limit, diminish, damage, obstruct or harm competition and the free market in the production, processing, distribution, supply and commercialisation of goods and services. Similarly, Law No. 6 empowers ASEP to intervene whenever it finds an abusive dominant position in the market that causes harm to regulated consumers or to any agents within the electricity market. any attempt at price fixing between generators and discos or among them. As outlined in question 28, ACODECO has the authority to prevent, prosecute and penalise anticompetitive practices. ACODECO may commence independent administrative proceedings or initiate an administrative review following a third-party request. Accordingly, ACODECO has the authority to impose administrative fines of up to US$1 million if ACODECO finds that consumer rights or antitrust laws have been breached. ACODECO may also file claims in the courts of commerce to prevent or remedy economic concentrations, antitrust practices and violations of individual or collective consumer rights. Consumers may also access commercial courts to seek redress for antitrust transgressions or to suspend antitrust practices. Commercial courts may in turn suspend any transaction or practice that may violate the rights of consumers and antitrust laws, impose precautionary measures, or award financial compensation and remedies to affected consumers. Consumers may also seek retribution in criminal court, by filing a criminal complaint. The Attorney General’s Office can also independently start criminal inquiries. Successful criminal actions for anticompetitive and manipulative practices may result in imprisonment of one to six years in the case of antitrust violations; and imprisonment of up to 18 months for unfair violations of competition laws. There is no special requirement or limitation in the electricity sector for foreign companies in Panama. Law No. 6 establishes that local or foreign private companies, or companies of combined public and private capital, may participate in the electricity sector. As mentioned in question 9, the transmission grid is currently controlled by ETESA, and its obligations include the construction and operation of interconnectors. However, market participants, such as generators and discos can construct and operate interconnection assets to the national grid. According to Resolution 1244 of 10 February 1999 (Resolution 1244), market participants interested in constructing and operating local interconnectors require a transmission concession issued by ASEP. ASEP requires the following to issue a transmission concession: a request document with a map showing the location and technical characteristics of the project, an NIS diagram, a list of generators in the market with their main characteristics, a copy of PPAs subscribed by the electricity market participants, a description of constituted and required easements for the project and the certification issued by MoE approving the project. Once ASEP receives the transmission concession request, ASEP will prepare an auction, and publish the terms of reference of the auction in two national newspapers, for 30 calendar days. Interested bidders are able to file their proposals only during the publication period. If ASEP does not receive an offer from another bidder, ASEP will grant the transmission concession to the company that initially filed the transmission concession request. However, if ASEP receives an offer from one or more bidders, ASEP will grant the transmission concession to the bidder that filed the best offer. The auction process does not only apply to transmission companies operating before the issuance of the Resolution 1244, or construction companies that are in charge of constructing the transmission line or substations on behalf of ETESA. Cross-border electricity can be supplied via the NIS or any cross-border transmission networks through PPAs with foreign generators or discos, subject to ASEP’s rules and regulations, or through short-term transfers undertaken by ETESA. Any generator may export capacity, energy or both if it has available capacity or energy that has not been committed to other agents and if the CND does not require its capacity, energy or both for the local market. International electricity transfers are exempted from all import and export taxes or fees. The electricity system in Panama is interconnected with Central America, through SIEPAC. SIEPAC became fully operative in September 2015. As mentioned in question 9, Panama and Colombia are planning and developing an interconnection line between both countries. discos and their shareholders cannot directly or indirectly control generators when the aggregate generation capacity of the respective disco exceeds 15 per cent of total demand within its respective concession area and cannot request new concessions if, on doing so, they would serve, directly or indirectly, more than 50 per cent of the total number of customers in the national market. The executive branch, with the prior favourable opinion of ASEP, may increase said percentage if it considers it necessary to allow the expansion of the zone of influence or the expansion of the electricity system as a whole. for generators that sell their power directly to any LUCs. ASEP has oversight and ACODECO has enforcement authority over generators or discos that fail to comply with the vertical and horizontal ownership restrictions listed in question 34. Whenever a transaction or a company oversteps antitrust or consumer protection laws, ACODECO has sole enforcement authority either through administrative court proceedings or commercial and criminal court proceedings, as outlined in question 30. Panamanian authorities are making efforts to improve the regulations of the energy market and Panama’s transmission infrastructure. On 10 October 2017 the Executive Branch filed before the National Assembly a draft bill to amend Law No. 6 of 3 February 1997 that regulates the wholesale energy market (the Bill). changes the administrative and public contracting principles of Empresa de Transmisión Eléctrica, SA (ETESA), and other state companies. The National Assembly must approve the Bill in three different debates, for the Bill to become a Law. The National Assembly has not continued discussing the Bill since the sessions of the National Assembly started on July 2018. ETESA launched Panama’s fourth transmission line project under a build-operate-transfer format. ETESA published terms of reference to prequalify possible participants for the auction to construct and operate Panama’s 4thtransmission line. Interested participants filed proposals for the prequalification process on 6 August 2018. ETESA is evaluating the proposals filed to determine if the participants comply with the requirements included in the terms of reference, and continue to the next stage of the auction process. According to the published terms of reference the project will have a capacity of 1,400MW and an extension of 317km. ETESA expects the company that will execute the project, to have the fourth transmission line operating in 2022. 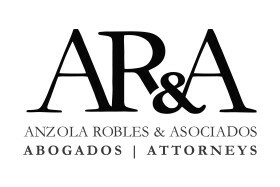 ANZOLA ROBLES & ASOCIADOS (AR&A) is a law firm focused in Commercial Law with an emphasis in the Corporate, Tax, Regulatory and Real Estate practice areas. It is comprised of a group of lawyers coming from different legal fields and backgrounds, combining their knowledge and experience to provide high-quality service.